Twenty six years after his untimely death, a biography on the greatest hunter of the Loch Ness Monster has finally arrived. The author is that hunter's own youngest son, Angus Dinsdale, who was born the night the BBC televised Tim Dinsdale's famous footage on their Panorama programme. 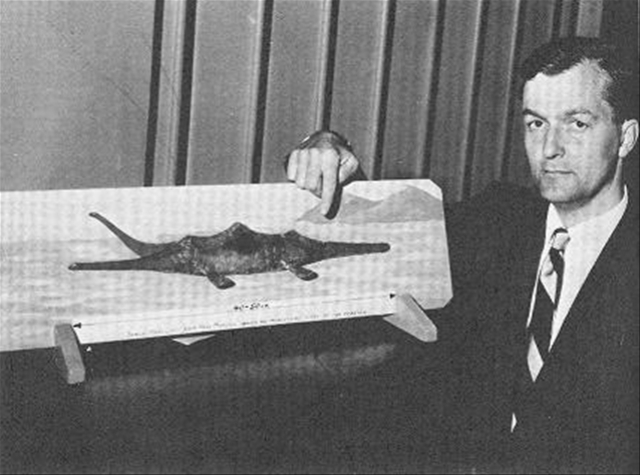 Perhaps that juxtaposition of Loch Ness Monster and family life sums up the man who devoted twenty seven years to the hunt for that most elusive of quarries. It was some weeks earlier that he had shot a minute of film showing a dark object crossing Loch Ness. The author of the book is in no doubt as to what he filmed. He was the man who filmed Nessie. Angus' book fill in the gaps left by his own father's works. Tim had written of his times at Loch Ness in his books "Loch Ness Monster" and "Project Water Horse". However, not much is known of the child, youth and man prior to 1960 or the man in his twilight years. This book reveals more of the man who began life in Aberystwyth, Wales in 1924. Tim's life continued in the Far East where his father worked and in those Depression years, we learn something of his formative years which took in the normality of school life but also the tale of pirates hijacking the ship which was taking him back to school for a new term. 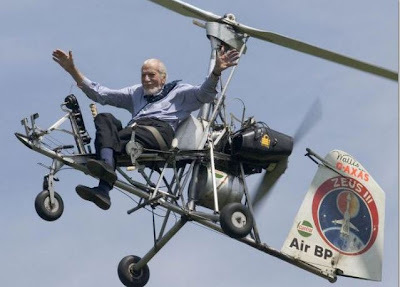 Needless to say, he survived to tell the tale and the story continues into the war years as Tim joined the Royal Air Force and afterwards as he pursued a career in avionics. Add to this his marriage to Wendy and the arrival of children and you have the formula for a normal, happy life. Then the Loch Ness Monster came along. We read how Tim's interest in Fortean phenomena began with a haunted house in Quebec. When he moved back to England, a curious magazine article entitled "The Day I saw the Loch Ness Monster" piqued his curiosity further. Before long, he was off on a week long trip to investigate it for himself and the rest is history. Did I say happy, normal life? We read that within some years Tim gave up his aeronautical career to pursue Nessie and constantly skirt on the edge of financial insecurity held back by book sales, TV appearances and the lecture circuit. Once the book enters monster territory, the author draws on Tim's own words from his two main books, but especially from "Project Water Horse" which tracks Tim's activities up to the early 1970s. The man's determination is evident and is bolstered further by two head and neck sightings. But the conclusive proof he sought never comes and the 1970s fade into the 1980s. I was especially interested to see what Tim got up to in the 1980s but that which comes upon all men as the eye grows dim and the natural force abates came upon Tim Dinsdale. It was evident that health issues and a damaged boat put an end to the long days of drifting by boat along the loch shores and pulling his weight with the LNI and Rines team. The end came with a heart attack on the 14th December 1987. I had recently read "Project Water Horse" and so the stories of various personalities, experiments and events around the loch were familiar. So, in some sense I am the wrong person to speak on the book as the impact is somewhat lessened by this familiarity. I am sure others will not be so "disadvantaged" as they read it. Angus also tells the story from a child's point of view since he was a school boy throughout these times. We have tales of family ventures, injuries, frivolity and the time his Dad ruined the washing machine in the name of Nessie research. Angus relates his own volunteer work for the LNI (despite being only ten years old) while one reads with amusement of the "leisure activities" such as the races to empty the latrines in the quickest time. The human element is very much present in this book but do not expect a long and detailed defence of the Loch Ness Monster. Certain photos, films and sightings will be cited but the ongoing debate about various items is left for others. 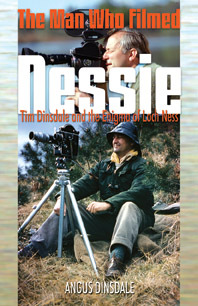 The Man Who Filmed Nessie completes the story of the man who summed up the search for the Loch Ness Monster. I am not sure we will see his like again as scepticism rolls over the loch like a Highland mist. Individuals still visit the loch in search of the prized picture of Nessie, but not at the sacrifice and cost we saw exercised by Tim Dinsdale. It may take another better Dinsdale type film to start the circus again. However, I suspect most are convinced that will not happen. The book is also prefaced with an introduction by Tim's widow, Wendy. Further details can be obtained at this link. Just arrived today in the post and I will presently be reading their section on Nessie for review on amazon.com and on this blog. 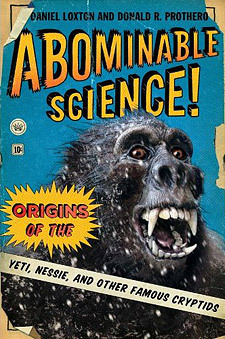 The Nessie section is just under 60 pages, so there is something to get one's critical teeth into. I see some have posted reviews solely on their Sasquatch section and panned it. The members of the choir the authors are preaching to have not surprisingly acclaimed it. I wonder how many of them have a half decent knowledge of the Loch Ness Monster story to critique it against? You can be sure I will be thorough in how they treat my favourite cryptid. I am sorry to read that Ken Wallis has died at the age of 97. 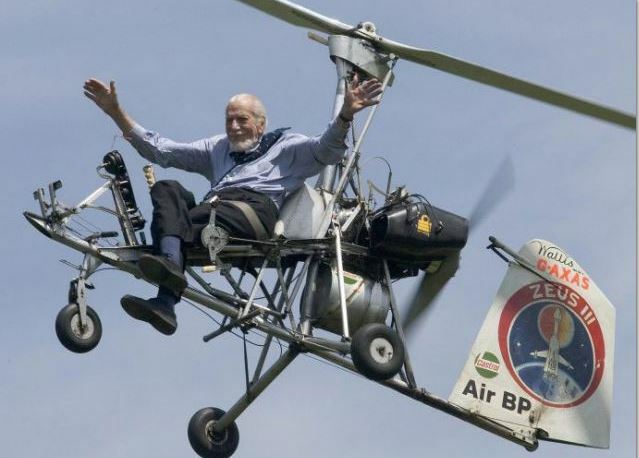 Loch Ness Monster fans will remember him as the man who turned up at Loch Ness in 1970 to help the LNI team with his little autogyro. It was planned to use it to swoop in from the air to photograph any sightings of Nessie. If was off to Loch Ness again as the tent and equipment were packed for four nights by the shores of the famous loch. Being August and a good Summer, I expected things to be a lot busier around the loch than they were compared to our last visit in April. That was certainly true as we headed north on the A9 to join the bustle of tourist traffic making its way to the splendid vistas of the Highlands. Don't you just hate being stuck behind a slow caravan on a road which is mainly single carriageway? Fortunately, such holdups were tolerably rare and mobile home vehicles are faster than they used to be. This time round, I decided to book with the new campsite that had been opened at the village of Foyers on the south side of the loch. It is an area with its fair share of general and monster history though the main reason I was there was its close proximity to the loch shore. This is the area where the famous Dinsdale film was shot as well as the first ever picture of the monster taken by Hugh Gray in November 1933. So, even here, there were things to pursue. The campsite is run by Donald Forbes who is the son of the late Jock Forbes who has an interesting sighting to his name. I would be asking him and others a few relevant questions over the next few days. On arrival, I set up the tent with as good a view as possible so that the loch was readily seen from the comfort of the tent (as the picture below shows). From there, I could scan my own little portion of Loch Ness with my pair of 10x50mm binoculars, camera and camcorder at hand. Nice, I think I will be coming back here! I mentioned Tim Dinsdale in the post title and I was already aware that this field played a part in the Dinsdale story. According to Tim's book, "Loch Ness Monster", after he had shot his famous film, he stopped and tore down the hill to the site of this present day campsite in the hope of getting more valuable footage. He describes driving downhill like a man demented and going round a circle of house before stopping on a nearby field. When he rushed to the shore with binoculars he scanned the loch and saw nothing - not even a boat. This panoramic shot I took of the area highlights a few things (click to enlarge). The place marked "A" is the circular road of houses that Tim went around. He then drove over to some point near the area marked "B" (though I could not be dogmatic on the exact spot). As you can see, there is a line of mature trees blocking the view to the loch but they would not have been as high in 1960 as they are now. However, the area marked by "E" to the right is still quite open as you would have seen from my previous tent picture (which was pitched at point "C"). Now I scanned part of the opposite shoreline with my binoculars and I would have had no trouble picking out any boats. Sceptics of Tim Dinsdale's film say the opposite - that the alleged boat would have simply melted into the background of the opposite shore when Tim got to roughly eye level with the loch. Sorry, I don't buy that explanation based upon my own on the spot observations. Any competent observer with binoculars (or even the naked eye) would have spotted a boat. I know that some will retort that Tim had poor eyesight and had inferior binoculars. I believe he had 2.5x25mm glasses similar to the ones below. If anyone thinks different, post a comment or email. Could Tim have failed to have spotted a boat from the opposite shore with binoculars that magnified 2.5 times? I ask the same question about how he could have failed to have spotted a boat before filming. I am not convinced by the sceptical arguments but you can see the opposite shoreline in question in the picture. 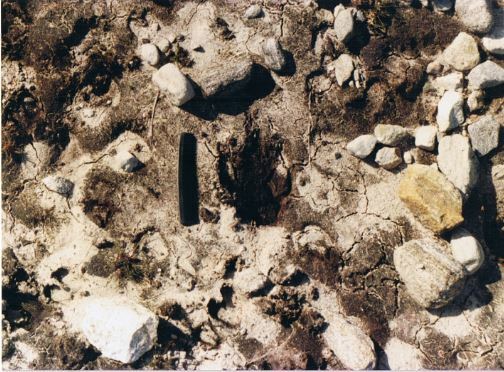 By the time Tim was out his car and scanning the far shore, the object would have been somewhere to the top left of the picture. Reader, form your own opinion on that matter. Moving on, I got talking to the campsite proprietor and his wife about the monster of the loch. Donald was sceptical but kept an open mind whilst his wife believed there was something strange in the loch. There was one question regarding Tim Dinsdale that I had to ask Donald. Now I would note here that Donald had not heard of Tim Dinsdale but that was not relevant to my question. Sceptic Maurice Burton had claimed in a 1969 article that Jock Forbes was in the habit of motoring his boat across the loch at the day and time with cargo and that Tim had filmed his object. The implication being that he had filmed Jock's boat. Donald's response was forthright - his father had never owned a boat and, moreover, he was not the type of person who would be on the loch. As it turns out, it was another local and not Jock Forbes himself that Burton claimed as the source. I will be writing on the matter of Maurice Burton in a future article. Donald's family had farmed the land for generations but for economics reasons, he had now turned to the tourism side of loch business. Foyers is place that is contracting. I was told there was a time within recent decades when there was a more thriving community which expressed itself in the presence of three churches and three pubs. There used to be a butcher's shop and the other amenities you associate with small communities. That is all gone now as buildings were closed or turned into tourist accommodation. Meanwhile, who needs a local shop when the Tesco delivery van can come straight to your door from Inverness? In fact, why need such a delivery service when you can just move to Inverness itself? Perhaps dying is a better word than contracting, sad though it may be. As it turned out, Donald had personally known Hugh Gray, who took the 1933 Nessie picture. I asked if he was the kind of man who would pull off the leg pulling stunt that sceptics claimed he did. The answer was a straight "No". That was not the type of person he had known. Sceptics would of course retort that he would say that anyway. You can't win with that type of poor critical thinking. On the previous picture of the field, the spot Hugh Gray took his picture is traditionally placed to the left of the spot marked "D" on a ledge about 50 feet high. I accept that but I know of at least one suggestion that it could be around the area marked "E". I reject that as a misreading of the key texts. A it turned out, that spot is a beach putting any witness at loch level and much more convenient for photographing hypothetical labrador dogs. Nuff said! I asked about his father Jock's land sighting of Nessie between the war years. For those who do not recall this, Nicholas Witchell's book "The Loch Ness Story" recounts the tale of how Jock Forbes and his father were returning home late one night when their horse reared up and stopped as something large and dark crossed the road in front of them followed by a splash. Donald was of the opinion that his father did not see anything - which is true as the form before them was not readily discernible and he offered the suggestion that they had actually seen a bull which had escaped from the market. An interesting suggestion, though one I would not accept myself! Meanwhile, his wife told me the story years back of a local man, Alastair Roebuck. This man had been a vocal critic of the idea that any monster could inhabit Loch Ness until the day he was chopping wood at Inverfarigaig. When that long head and neck broke the surface near him, he was no longer a critic! I could not get any more information on this sighting and it seems Mr. Roebuck is no longer around. I do not think this story is on the "record" and I cannot comment more as I have no further information, so I will leave it at that. Later on I visited Steve Feltham at his home on Dores Bay. The place was milling with tourists and Steve was there working away at his Nessie models. I was invited in for a chat and we indulged in monster talk for a good while occasionally interrupted by a tourist wishing to buy a Nessie. On the subject of stories, I had mentioned something I saw in the woods which led to a story about the late "Dave the Cave". Some years back, Dave was making his way to the loch side when an extraordinary sight came upon him. It was not a monster but a big, black cat the size of an Alsatian sitting on a rock looking at him. Now big cats have been reported all over Britain for decades, it seems Dave had come across one. I remember how a puma had been caught in the area in 1980 and made the front pages. I also remember how I stumbled upon a depression in the ground that looked quite cat like on the shores of Loch Quoich during a monster loch tour in the mid 1980s. That was about 4 inches across. I took a picture with my comb alongside for comparison. Note what are presumably deer tracks below the "cat" print. If it is a track, it must have been more recent as the deer spoor look more dried out. Opinions are welcome, I have no strong view myself, though I thought them cat like at the time. Various strange stories are associated with Loch Ness which seem to have no link with the monster. I don't think half the story has been told about them. I also talked with Mr. Hargreaves from Foyers who had a head-neck sighting back in June 2011. He recounted the tale and he said that other locals had also seen things but they never get into the papers. A great pity. Moving on from stories, I hit the loch road for the next few days doing various things. One experiment I indulged in was to do with an old paint tray. The question before me was whether anyone from the shore can see things under the water. That may seem a no-brainer, why wouldn't you? Jon Rowe, who took a recent picture at Loch Ness, said he saw a dark form moving just below the water and, going further back, witnesses such as Ted Holiday testified to the same thing. Nevertheless, one Nessie sceptic says you cannot and I agree and I disagree with that assessment. It all depends on context. So I had packed a paint tray and a pair of wellies to wade out and try out a few things. Here are some pictures of the paint tray. One side is a kind of dirty bluish white while the other side is a mixture of dirty silver and brown (i.e. rust). Would I be able to see this from the loch shore if placed in about two feet of water? I waded out in my shorts and wellies, placed the tray on the loch bottom, retreated and took some pictures. First up was the tray blue-white side up. This was easily visible to the naked eye and is the white streak in the centre of the picture. A zoom in is also shown. Note the camera position was an elevation of about 3 metres and the distance to the object was about 18 metres. This gives an angle of viewing of about 10 degrees. I then placed the darker side of the tray in the water with these results. Clearly, the object would be less visible, but to the naked eye, it was still clear enough to make out. Indeed, the pictures here do not do proper justice to what the superior human eye could see. To me, both objects were visible and were only obscured when a wave passed over them. How would a black to grey object do? Not as well, but better if it was even closer to the surface (e.g. a foot below). If I can find such an object which would not be ruined in the water, I'll do that next time. But I don't doubt the human eye would be able to make something out, especially if it was large and easier to follow. Of course, once the object descended deeper, it would be lost to view. But that is not my point. This is all about the top one or two feet of the surface. As I see it, peat particles that flow into the loch are of different sizes. The heavier ones sink deeper before they achieve buoyancy but the lighter ones will suspend closer to the surface. However, because they are smaller, they will let more light pass between them. In other words, the opacity of the loch is proportionally less at the top surface compared to below and hence objects can be seen better. Anyway, I shall consider these results provisional until I get some better materials for next time. I also visited some sites gathering data for future articles, so I will leave those for later. I also brought out the night vision binoculars again. As stated before, it is my opinion that Nessie is more a nocturnal creature and surfaces more at night time. That is an opportunity but it also presents the problem of seeing the loch at night. I took the equipment out about 11pm to the shore beyond the tent view I showed above. At this area is a small beach where the locals keep their boats. It was a good place to put down the tripod. So, I ran the output from the binoculars to a recording application on a laptop. One interesting clip that came out of this is shown below. As I panned around the loch, a long object protruding out of the water came into view. I focused my attention on it for a time wondering what it could be. Looking out onto the loch with the naked eye was futile as it was too dark to make out anything. After some minutes, it had not moved in any way which began to arouse my suspicions. So, I panned away to record other parts of the loch but would occasionally pan back to see this object in the same position. By now, it was clear it was not likely to be a living creature, so it was a matter of eventually packing up and resolving to check the area in broad daylight. When I went back to the beach the next morning, the picture below shows you how the matter was resolved. There was a branch sticking one or two feet out of the water at the same place. Of course, if I had published a short 10 second clip of the night object without further explanation, it could have generated a lot more interest .. but we're not into hoaxes at this blog! The upshot is that if this had been a 20 foot creature with hump and long neck at the same distance, I reckon the night vision equipment would be up to the job. But like daylight recordings, it's all about distance. It was during this trip that I introduced a new piece of equipment to the hunt - the dashcam. 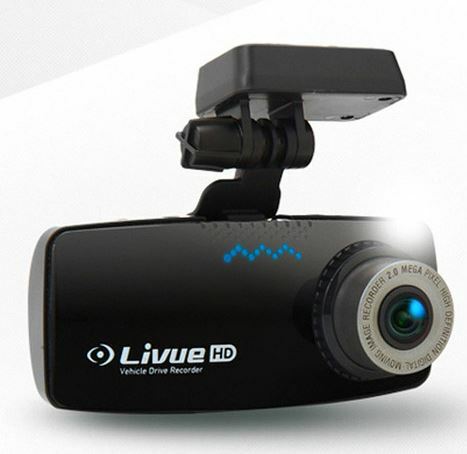 Put simply, a dashcam is a video recording device that attaches to your windscreen and essentially records what you see as you drive. This gadget first grabbed my attention when a large meteor passed over Russia back in June. Many Russians who fitted dashcams to their cameras caught the passage of the fireball across various locations. Of course, they did not fit these devices onto their cars to record natural events but rather car accidents in which they could use the video footage in their defence. My intent was to use it in the pursuit of the Loch Ness Monster. To that end, I purchased a Livue LB100 video recorder from eBay for less than a hundred quid. It's a 2 megapixel camera which can record at high definition 30fps to a micro SD card (in my case 8Gb capacity). It got good reviews on the web, so went with it. Tests at my home in Edinburgh went well. The only gripe I had was its "event" detection trigger which basically is used to auto-record a clip if the car is hit by another motorist. Unfortunately, this also triggered on rough bumps at about 40mph or more. However, this was a minor inconvenience. In terms of Loch Ness, the obvious lottery win for me is this device capturing the Loch Ness Monster in a "Spicer" type event as it crossed the road in front of you. What a diamond of a video that would be. However, just like a lottery win, the likelihood of achieving this is remote. But, if the device is not attached, you certainly won't record anything! The device had to be road tested in situ, so I ran the camera through the entire trip recording the various sights around the loch. One sample video clip is included below. This was taken down "Monster Alley" as I call it. This is the quieter road on the south side of the loch which runs from Foyers to Dores. Along here have been reported a disproportionately higher incidences of reported land sightings. This is mainly due to the fact that the loch shore is closer to the road along this stretch hence facilitating monster excursions ashore (sceptics will suggest it also facilitates deer reaching the shore to drink but there is an argument against that which is for another place and time). The original video is better as I think YouTube reduces the resolution, but you get the sense of the usefulness of the device. Picture the scene. You believe there is one or more large creatures in Loch Ness. You also believe they occasionally come ashore. You further hold to the view they are more likely to come ashore at night along a stretch of road between Foyers and Dores. Would you drive along that same road in the middle of the night? Yes, we did. I wanted to see how the dashcam performed in night conditions but also to see what was out there. So, my son and I arose at one o clock in the morning and began the round trip from Foyers to Dores and back again. Though a chance encounter with a 30 foot beast on a dark Scottish road looked unlikely, I must admit there was a certain buzz which prompted various reactions. What exactly should I do if something large loomed ahead of me in the darkness? I had half jokingly told Steve Feltham before this that I would run it over if it meant solving the mystery. Would I actually do that if the opportunity arose? Would you? The video clip below shows a segment of that journey which lasted from 1am to 2am. I would probably gone out later about 3am to 4am but perhaps next time. Go full screen, turn off your lights and join me in a late night drive down Loch Ness! That sense that "something" may loom out of the darkness ahead was always there, but would it record? I had to drive with headlights on full beam to maximise the area of video coverage as there was next to no light anywhere else and we never encountered another vehicle driving ahead or behind us (though there were a surprising number of vehicles parked for the night all along the road). That was the way I liked it and some things did happen. I encountered two badgers, one rabbit, one frog and a deer. No animals were harmed in the production of that film. Now this was the second time we saw deer on this stretch of road. The previous encounter was between Foyers and Boleskine. This night encounter was somewhere north of Inverfarigaig. The disappointing thing was that the dashcam had not captured it when I reviewed the clips later. The reason was the difference in performance between the human eye and a digital video recorder. To my eye I saw a shadowy but familiar outline of a deer half obscured by bushes. It two eyes gleamed back at me as they reflected the car headlights. However, the deer was just beyond the main beam and so just registered as darkness in the video. Did I jump out of my seat when this form appeared? Not quite, but the alertness levels jumped as I slowed down and assessed what was before me. Yup, you got it, I didn't floor it and claim my carcass as previously threatened! Was the dashcam any good? Well, yes and no. The night drive made me realise that anything of interest would have to be quite close to record. Even with the naked eye, the monster could have lumbered a 100 yards in front of me and I would be none the wiser. I ran YouTube's enhancement tools through it and got this clip. A bit better but not what I want. Of course, I could mount a searchlight on the bonnet! Any credible suggestions to increase night range are solicited from readers. The other thing you may have noticed on the daytime clip was how the video seems to darken and then brighten again. Certainly, on a sunny August afternoon, the car was constantly moving in and out of shade and this actually caused me to miss the recording of the other deer crossing because they were in shade. The device did not adjust to this and the area was too dark again! Perhaps there is a configuration option on the device's firmware to compensate for this. So mixed results for the dashcam, though I may be expecting too much but I will certainly continue to run it on future road trips around the loch. As it turned out, we were driving along the same road as the Spicers' famous 1933 land sighting and we were there at around the same time. They were there in late July and we were there mid August. We also had periods of bright sunshine as they did. This was ideal to compare and contrast what sceptics have said about this case. The first point concerns deer. It was clear that deer are a common sight in this area at this time of year. I saw a deer and its fawn crossing the road in daylight and there was the one which I saw at night. Some claim that the Spicers saw a huddle of deer crossing the road. My question is what constitutes a huddle? I only saw one or two at a time and the surprising thing was that they were quite nonchalant about my car approaching. They just basically trotted at a slow rate across. The impression I always got from sceptical arguments was a group of four of five deer dashing across the road so as to not be easily identified. I did not see any huddles and I did not see any dashing across. Well, perhaps I will in future and the dashcam may catch it. For now, I am not too convinced about these dashing huddles. The second point concerns the idea that the Spicers saw some animals like otter or deer under heat haze conditions. In other words, the open road is heated by the sun to produce a temperature inversion. In reality, I found that driving along this road was often shaded by the high and heavy Summer growth of the roadside bushes and trees. Not a condition suitable for mirages I thought. So here's a not so simple question. Was the object the Spicers witnessed in shade or light? I suspect that answer depends on one's state of bias regarding this case. And so the journey ended and it was back to Edinburgh to work and school. I hope to go back around Easter to finish off some things, perhaps get that dashcam in a better configuration and talk to more people. In the meantime, there is enough material to finish off a few articles. So watch this space!